In stock and ships from New York. For Tubes- Add one tablet in each tube every 10-12 months. 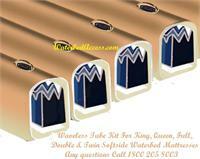 Fitted Softside Safety Liner:King, Queen, Full or Twin Soft side Waterbeds. All waterbeds should have a Safety Liner as it will protect your furniture & floor from potential damage by containing leaking water if your waterbed mattress ever springs a leak. This waveless tube kit is made for King, Queen, Full or Twin Softside waterbeds. Each tube is filled with a layer of contour fiber to reduce motion. These motionless replacement tubes are made with rich virgin vinyl & reinforced ends. 10 Yr warranty. Free flow tube kit for king size softside waterbed. Includes 11 tubes. 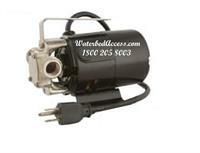 In stock for fast service. Quality vinyl with reinforces ends. Free flow tube kit for a queen size softside waterbed. Includes 8 tubes. In stock for fast service. Quality vinyl with reinforces ends. 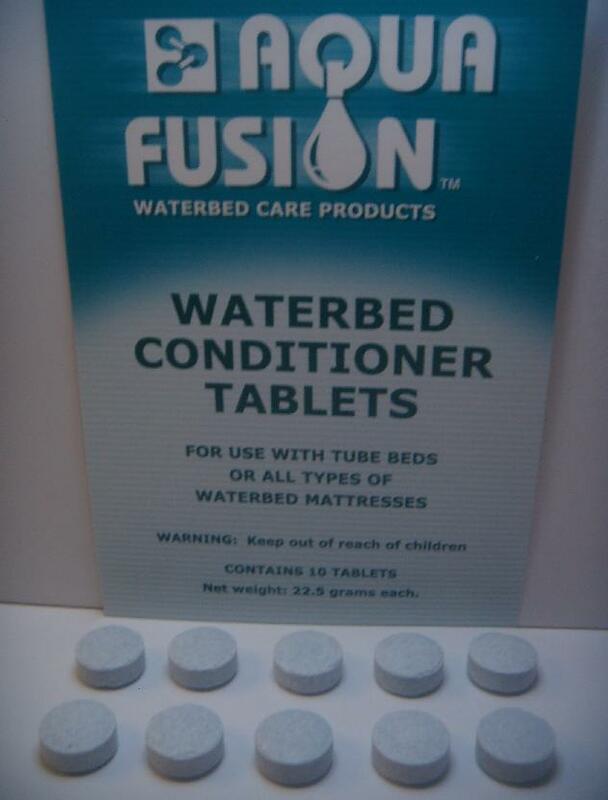 Free flow tube kit for full/double size softside waterbed. Includes 7 Tubes. In stock for fast service. Quality vinyl with reinforces ends. 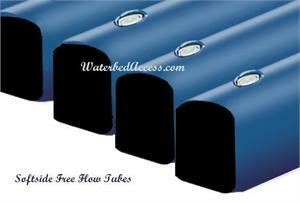 Free flow tube kit for Twin/Single size softside waterbed. Includes 5 Tubes. In stock for fast service. Quality vinyl with reinforces ends. 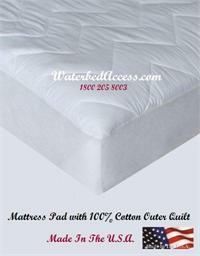 Softside Euro Top Cover is an excellent choice when replacing your softside mattress Cover. 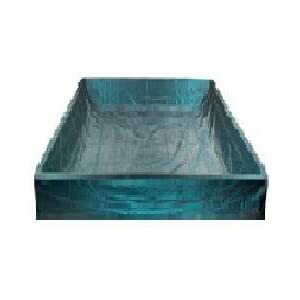 Perfect for King, Queen, Full or Twin Softsided beds. If you are looking for finest quality & exceptional comfort then this Euro Top Cover is the right choice. Luxuruious Cotton Blend Softside Pillow Top Cover. Pillow top is Plush, Super Soft and very breathable. Make your softside feel and look like new again. 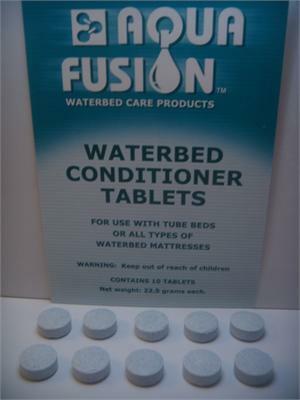 Available for most softside waterbeds Free shipping for the 48 Cont. U.S. States. This Softside Waterbed Mattress Zip Cover will make your bed feel more comfortable w/ as this Bamboo material has been had picked for quality. Designed for comfort & air circulation this is a perfect choice. Available for King, Queen, Full & Twin Size. If you have a softside waterbed mattress and the foam rails are sagging or just not holding up due to age then now is the time to replace them. We stock 7" foam rails in Twin, Full, Queen, Eastern king & California King. 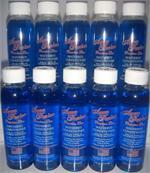 This is three 8 oz bottles of Multi Purpose Vinyl Cleaner and Protectant This is an ideal vinyl care treatment. 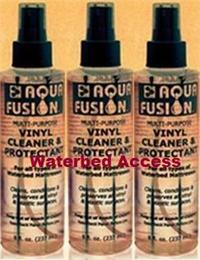 Designed to clean and protect all vinyl and most plastic products Will help prevent oxidation and drying.